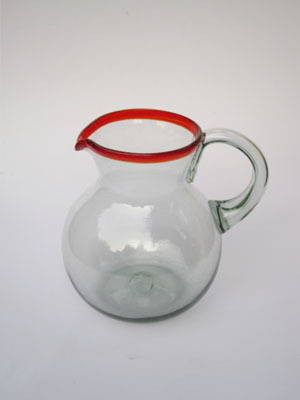 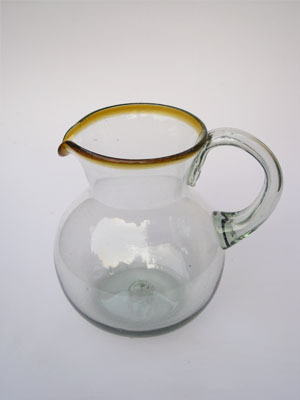 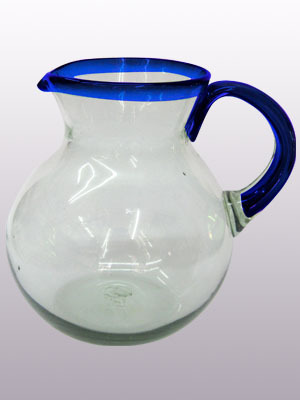 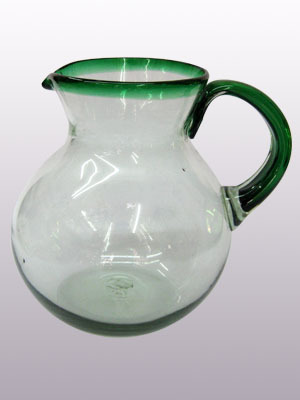 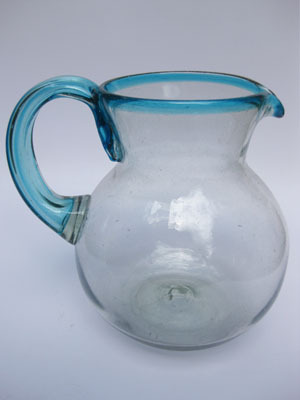 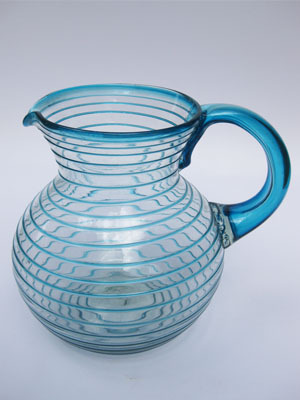 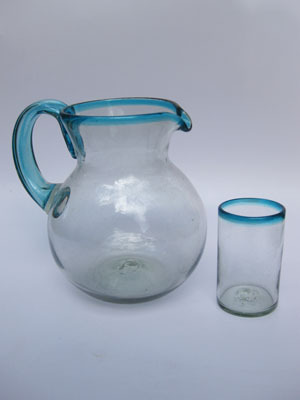 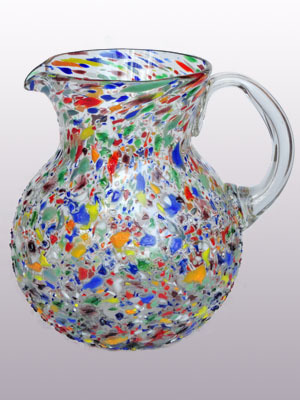 This modern pitcher is decorated with an aqua blue rim. 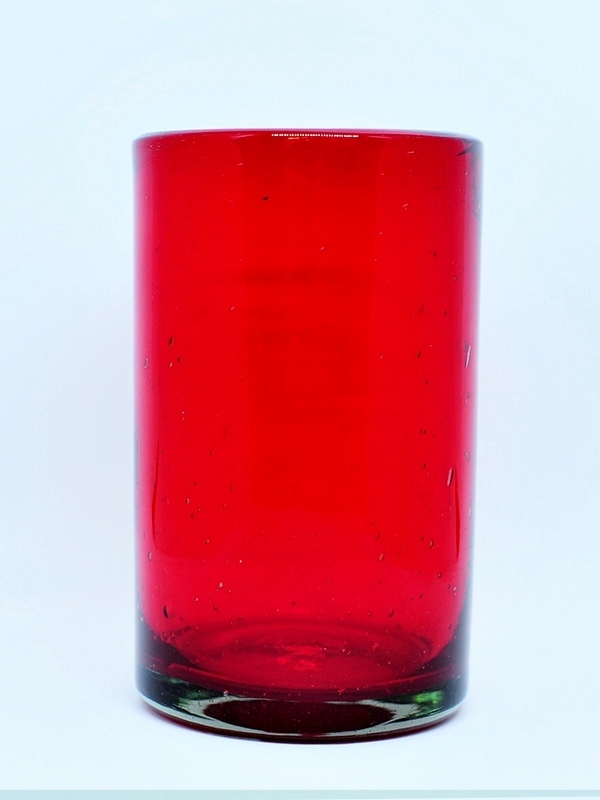 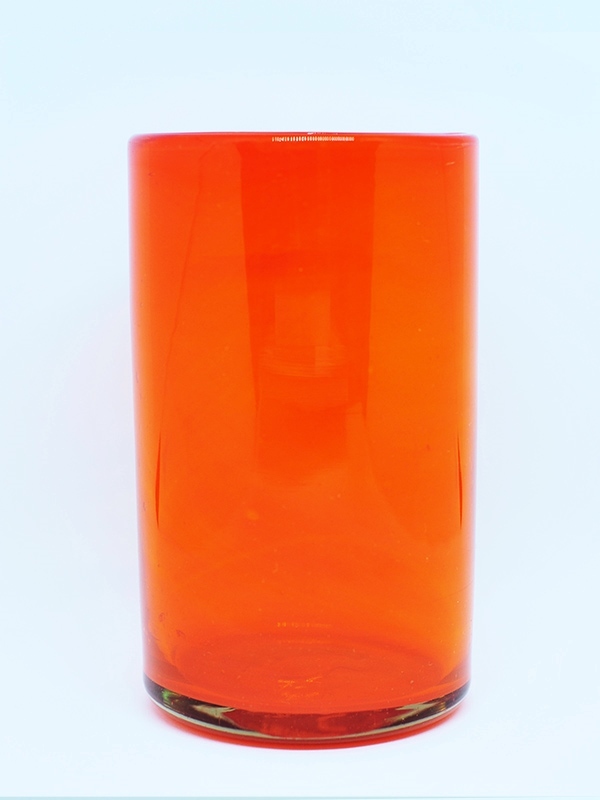 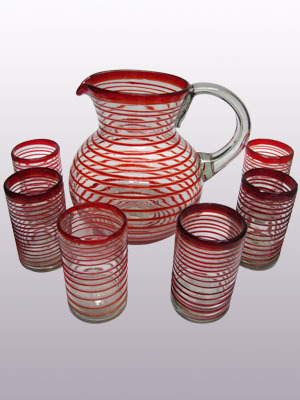 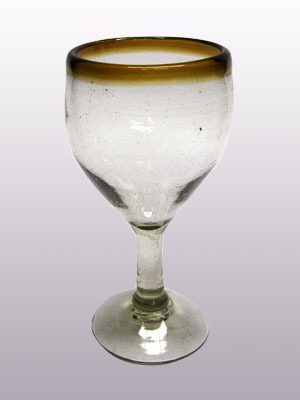 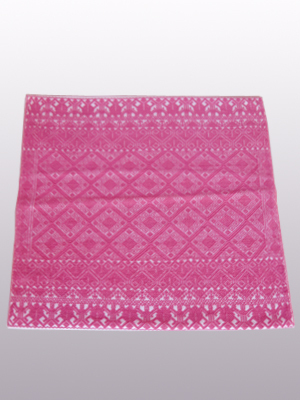 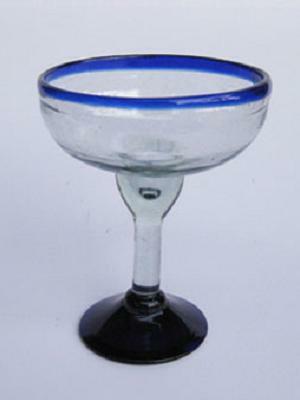 Because blown glassware is affected by heat, water and cold temperatures, many customers ask if it is safe to put their Mexican stemware in the dishwasher. 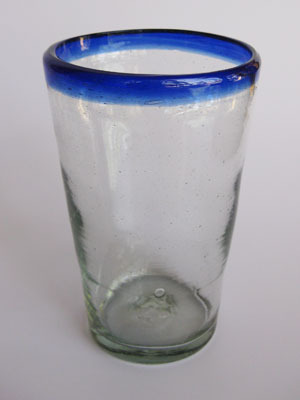 Speaking from personal experience, I have been putting my Mexican blown glassware in the dishwasher for years, and I can promise that my mother, and grandmother have done the same. 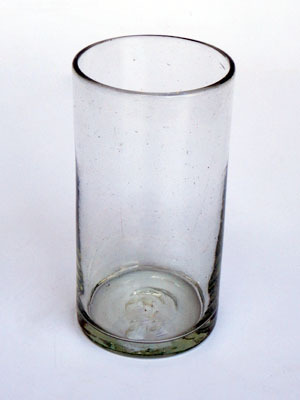 My only observation is that since I have hard water, and the glassware is so durable, a film of calcium can build up after years of dishwashing. 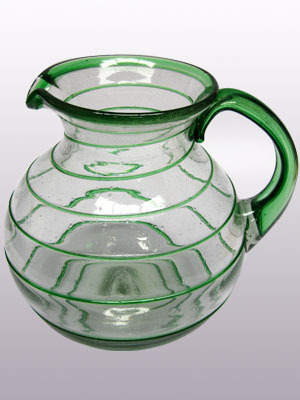 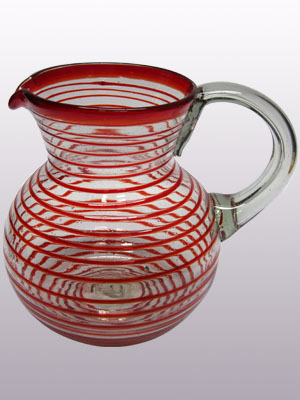 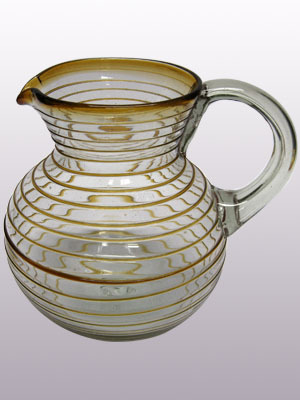 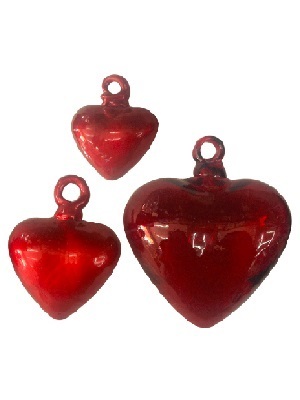 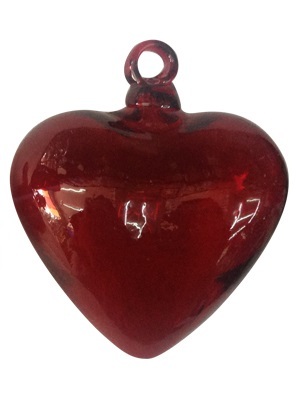 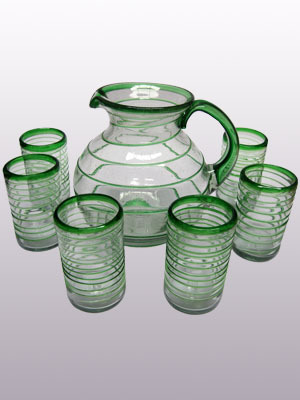 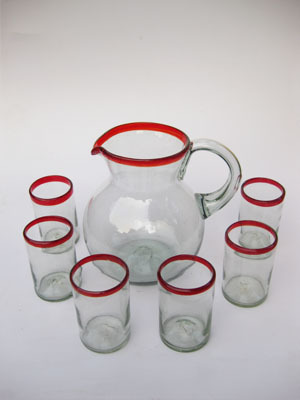 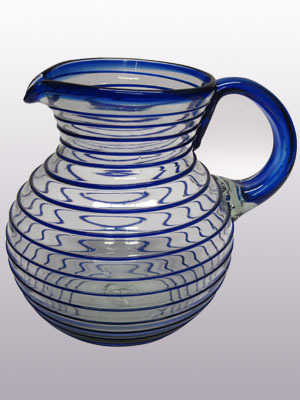 However, I do recommend hand washing blown glass pitchers, to protect their handles, and to better clean their steeply curved interiors. 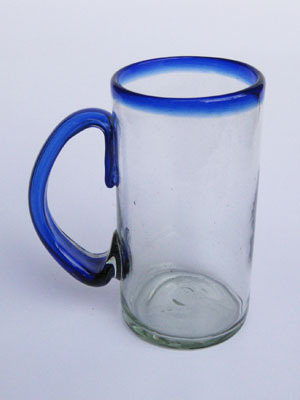 Never serve hot liquids in Mexican glassware. 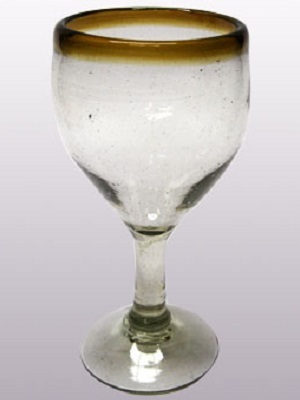 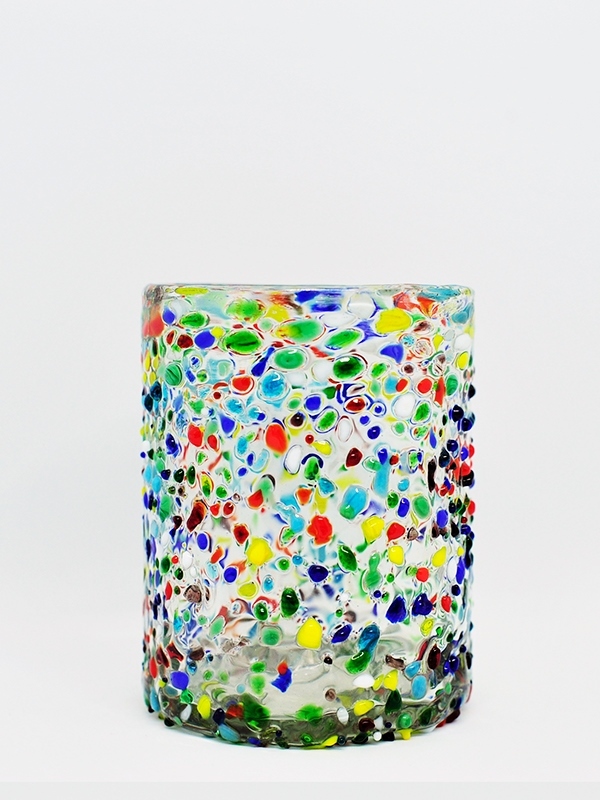 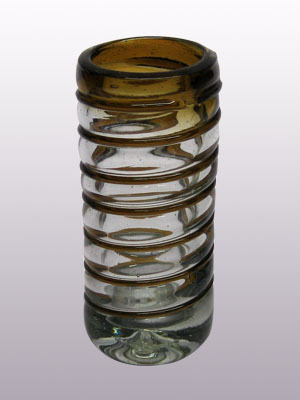 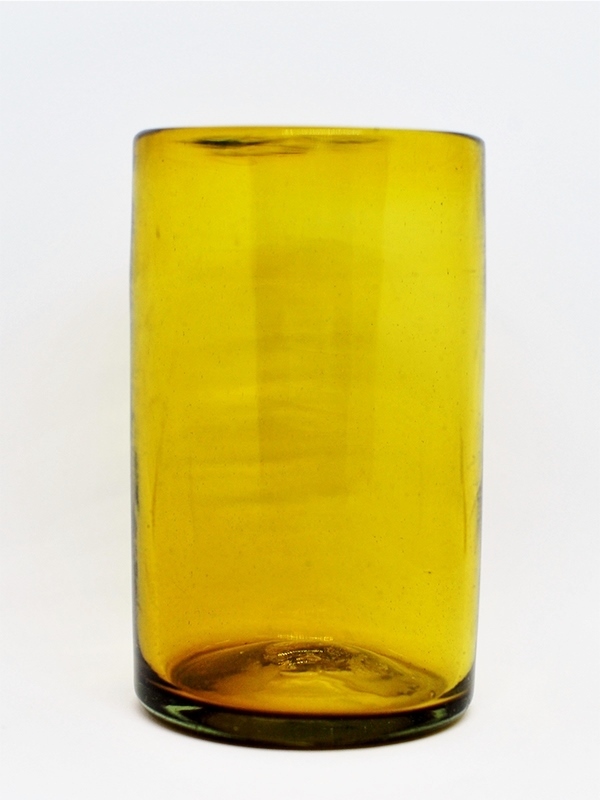 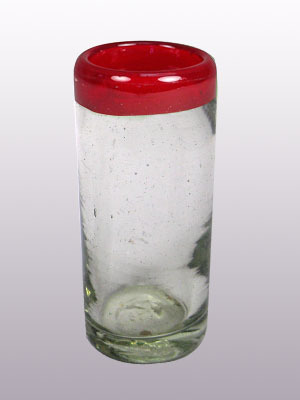 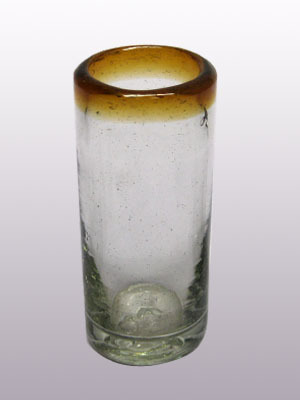 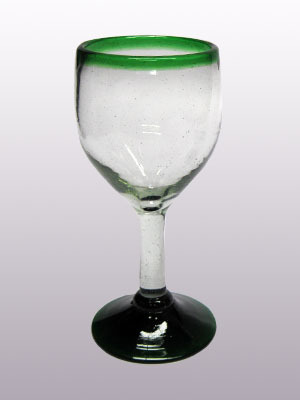 Quick changes in temperature can cause the glassware to crack. 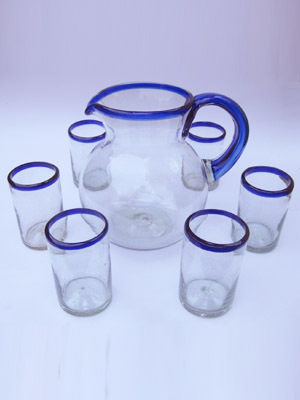 Dishwashers build and lower temperature gradually, whereas rapidly filling a Mexican blown glassware pitcher with hot brewed tea will certainly result in a crack. 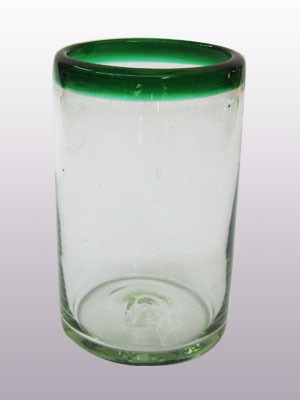 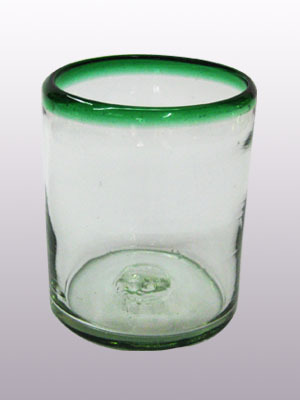 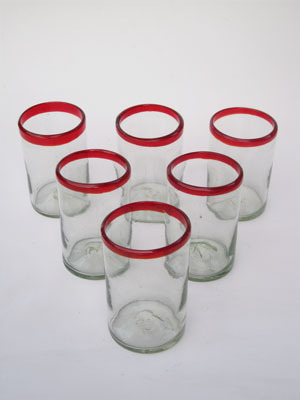 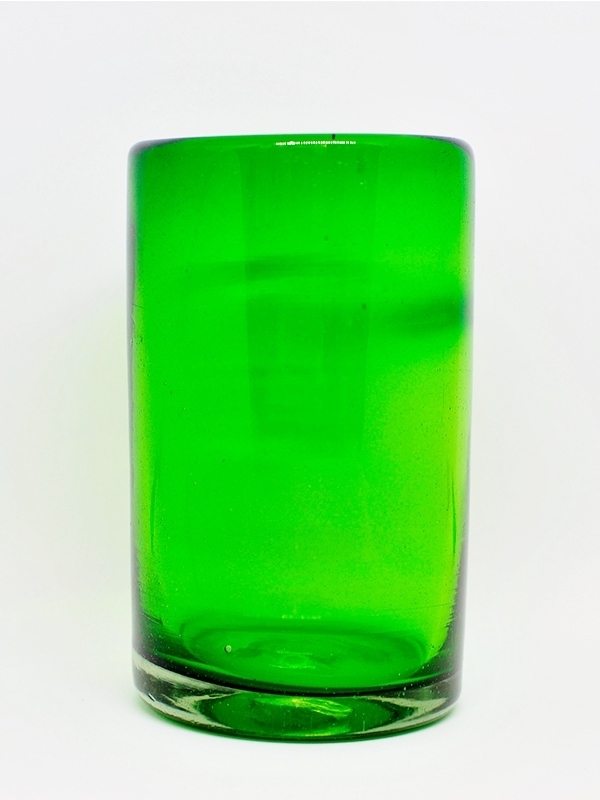 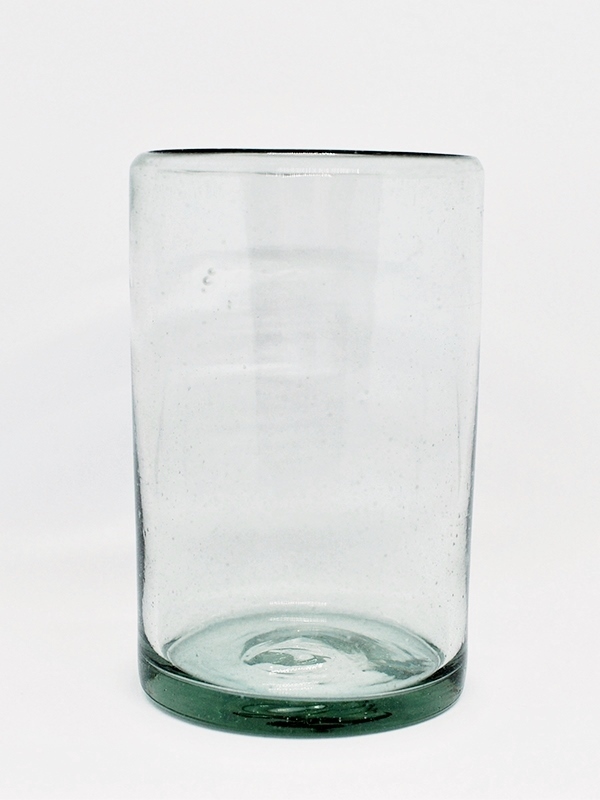 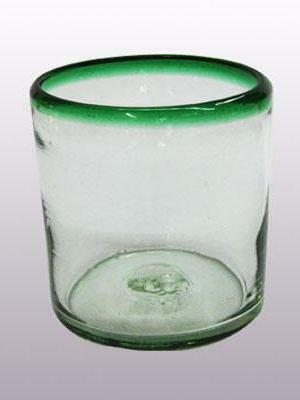 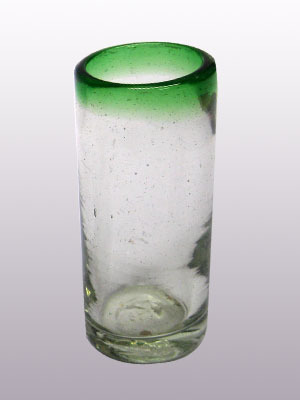 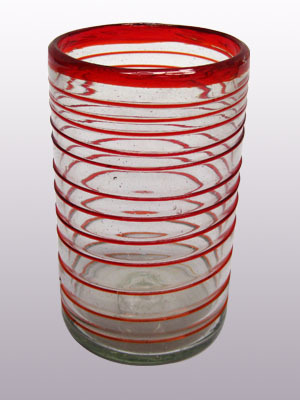 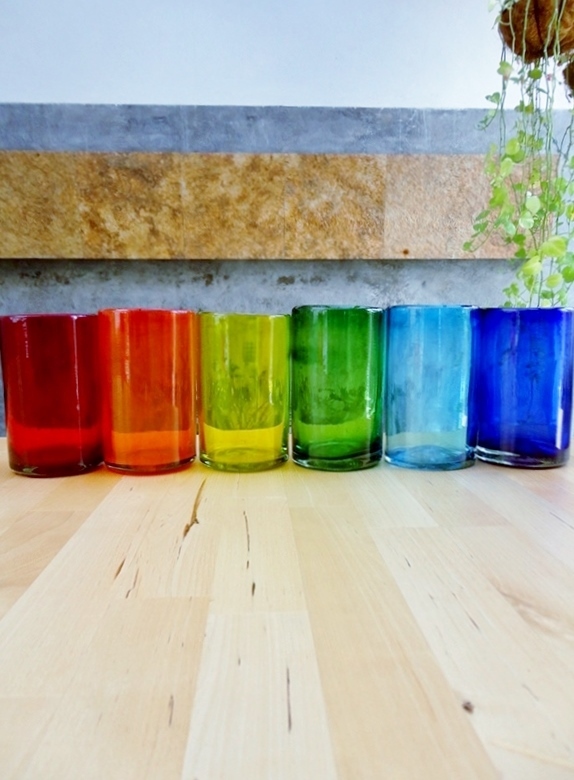 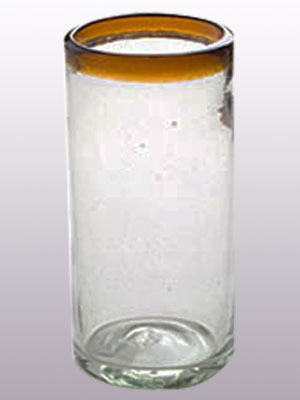 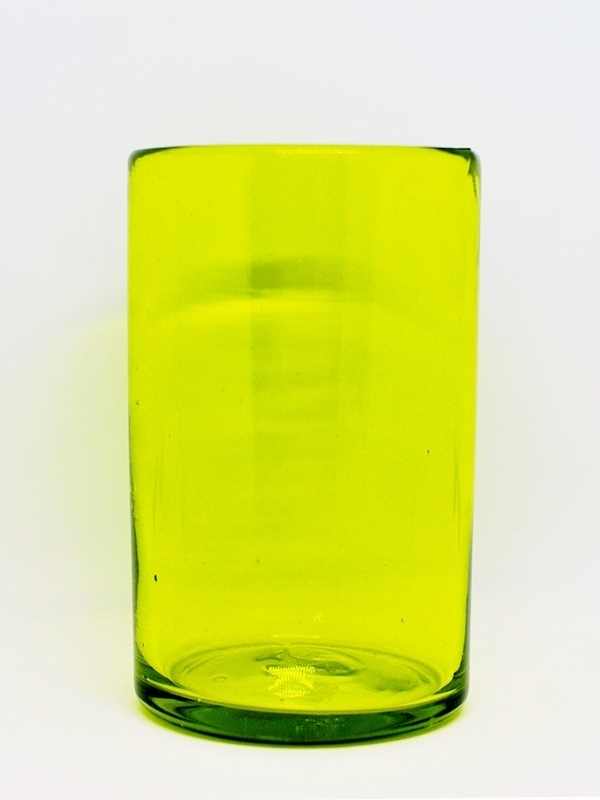 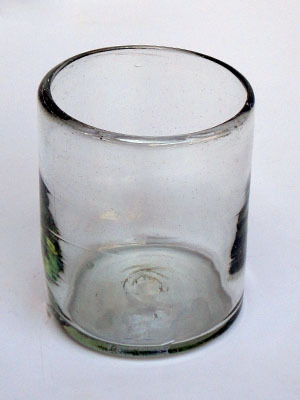 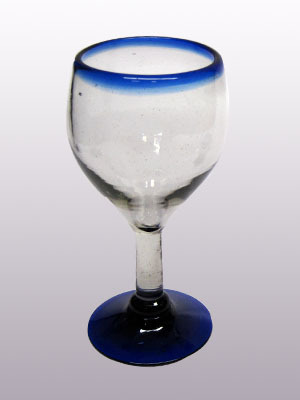 Only fill your blown glassware with cold or room temperature liquids. 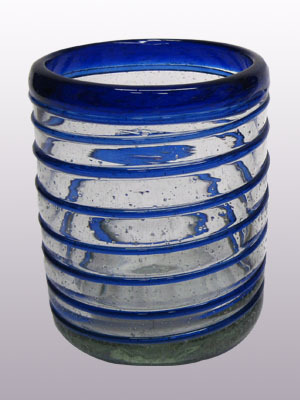 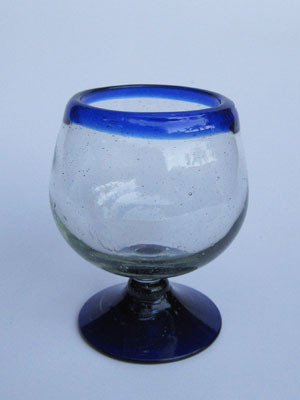 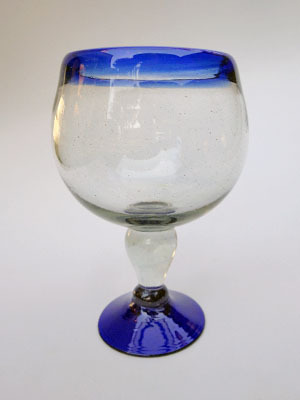 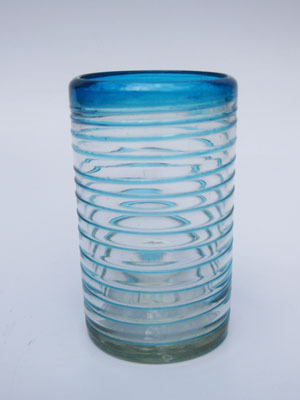 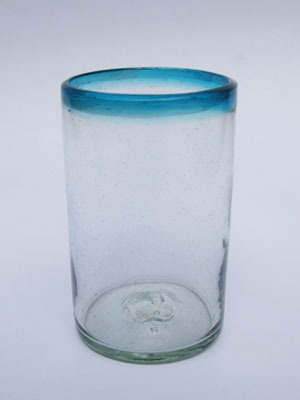 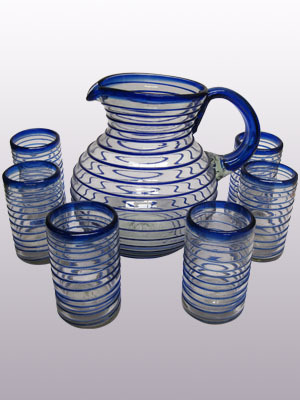 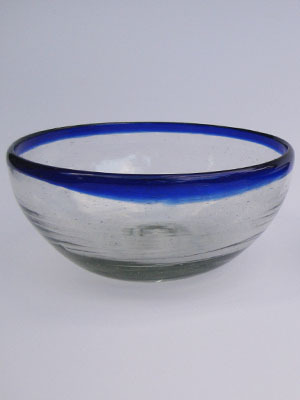 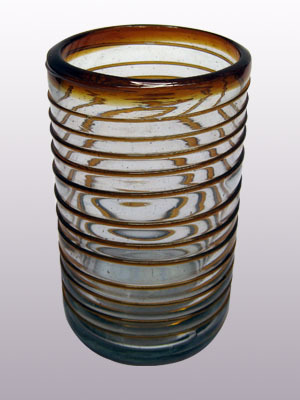 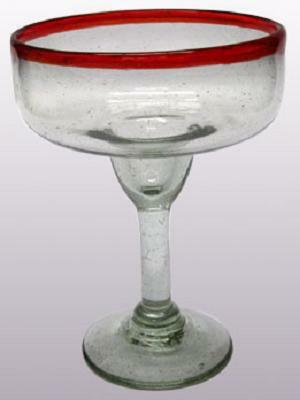 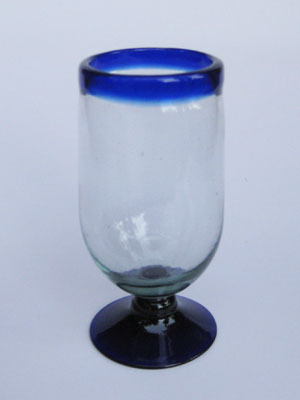 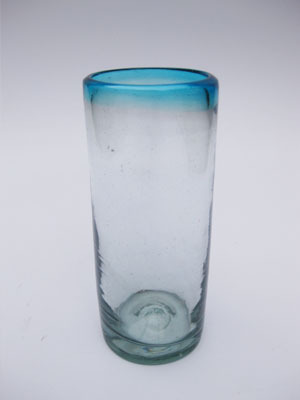 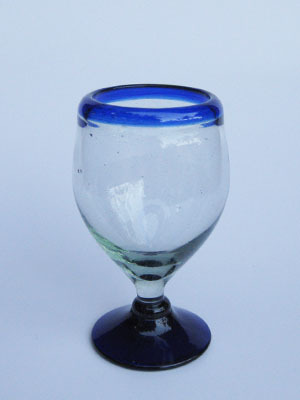 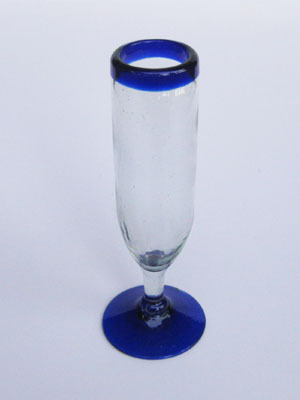 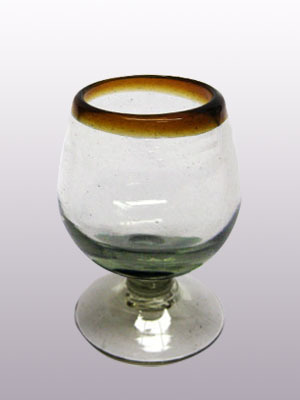 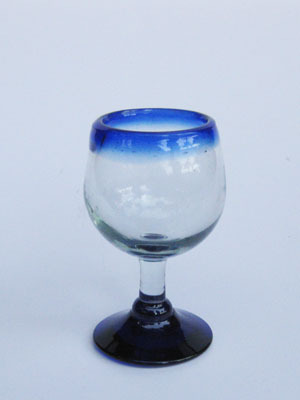 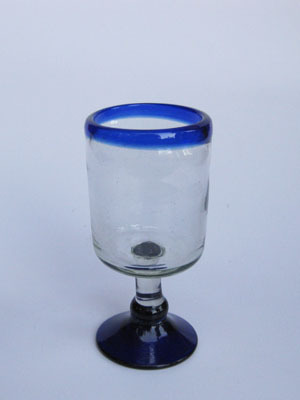 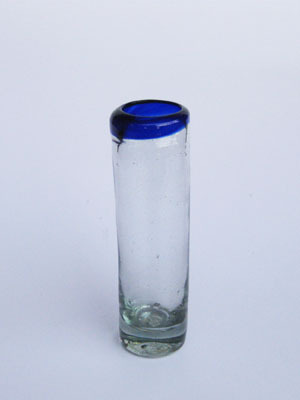 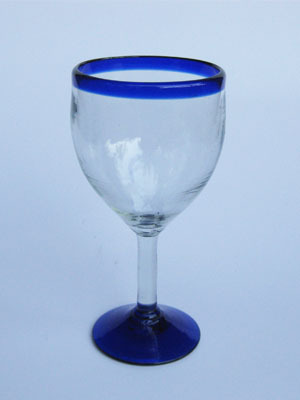 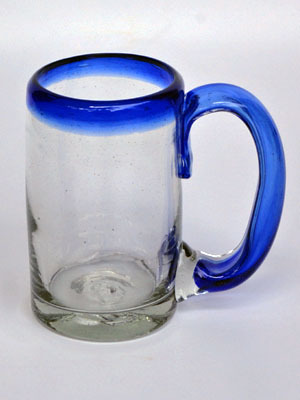 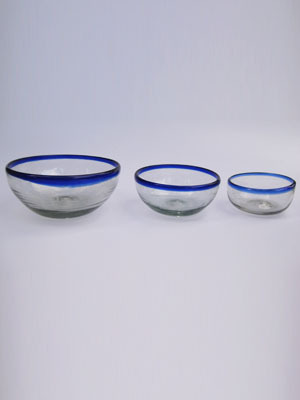 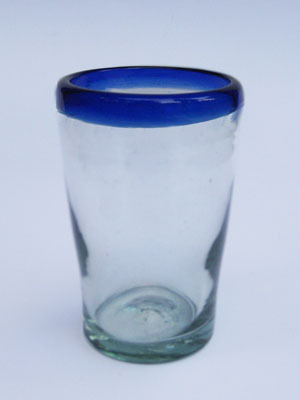 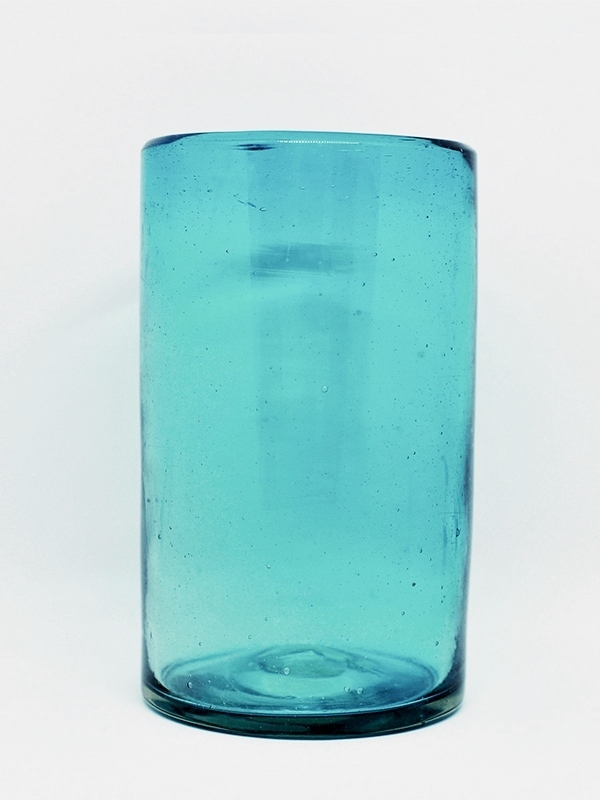 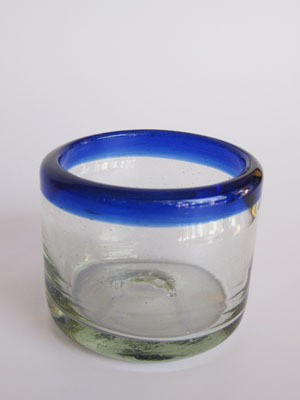 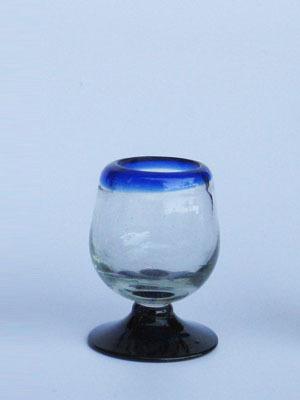 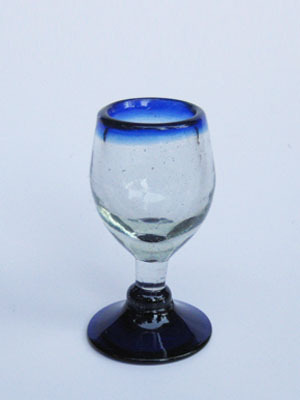 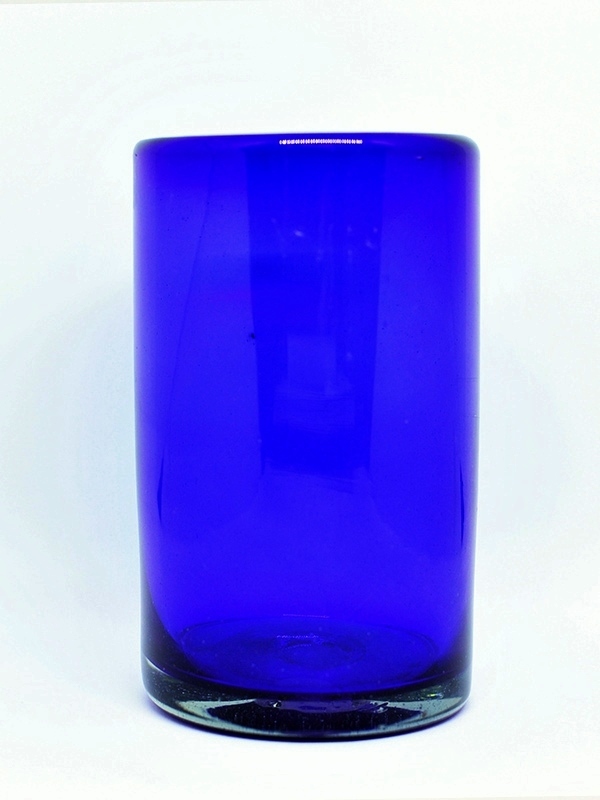 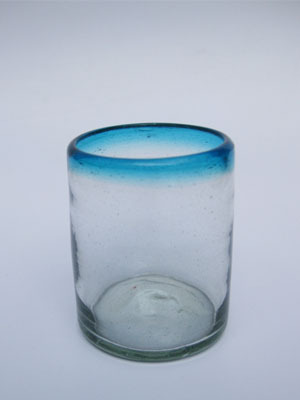 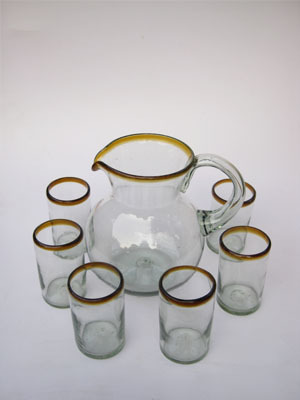 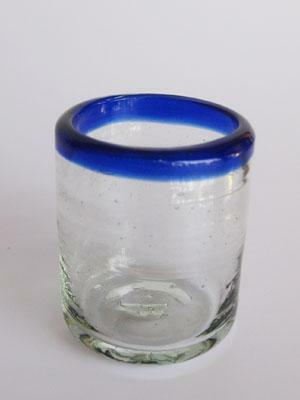 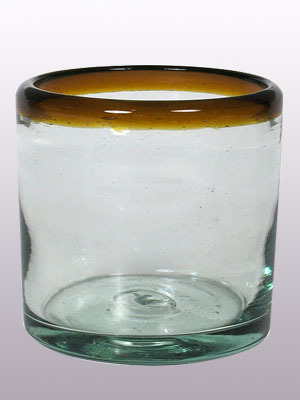 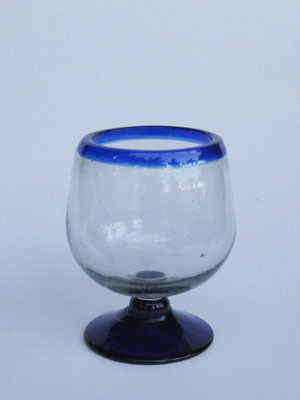 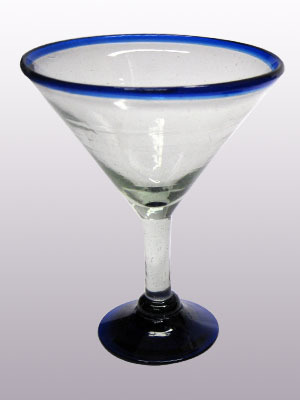 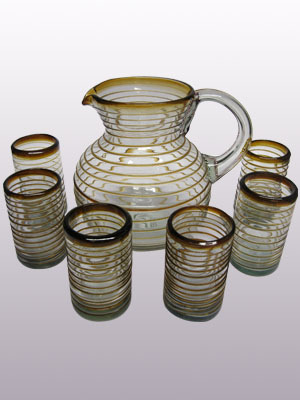 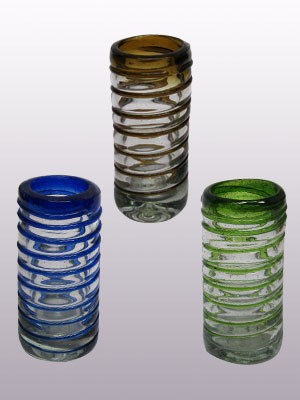 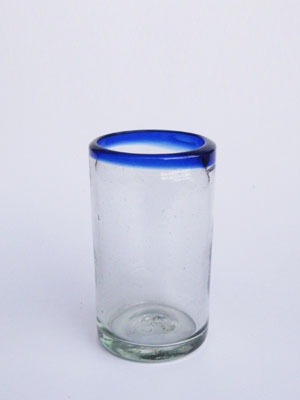 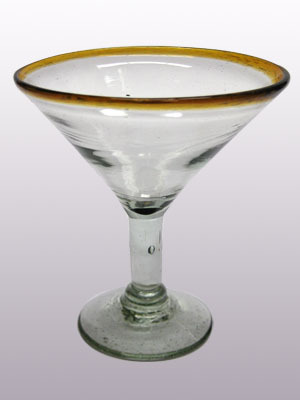 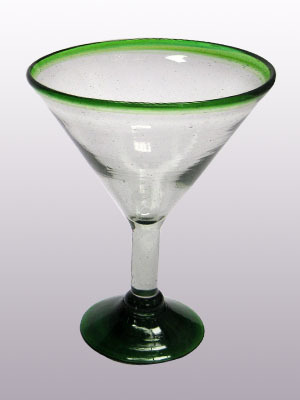 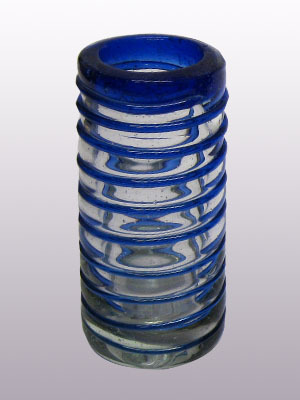 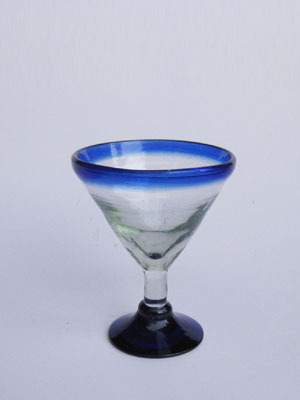 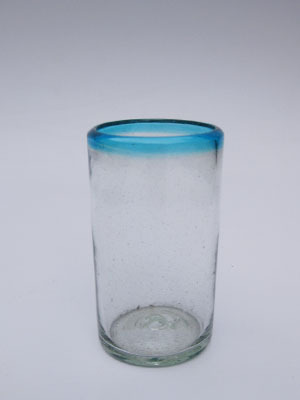 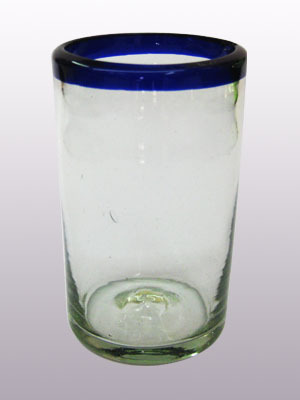 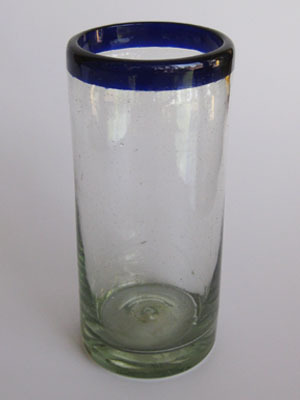 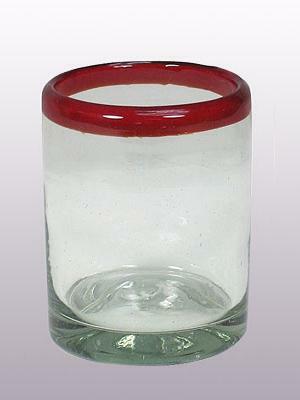 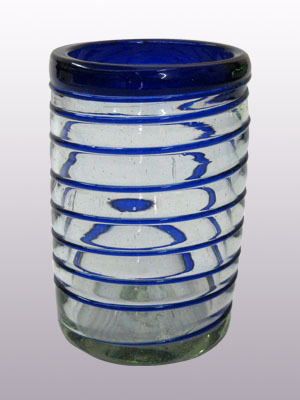 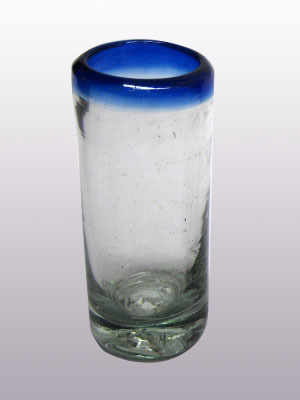 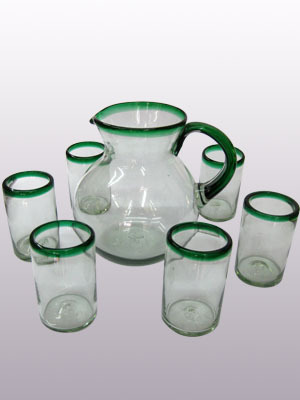 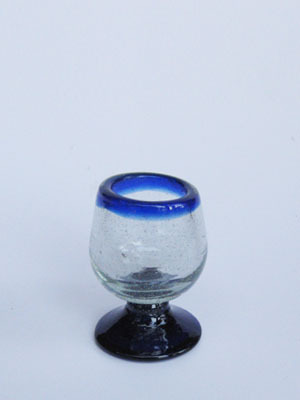 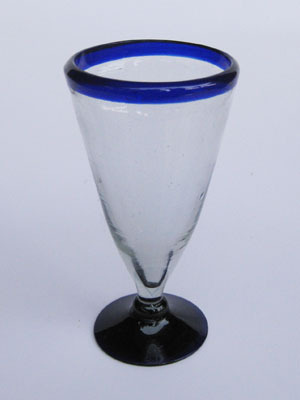 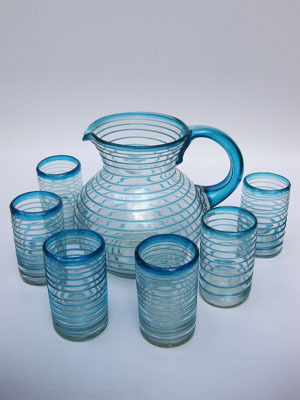 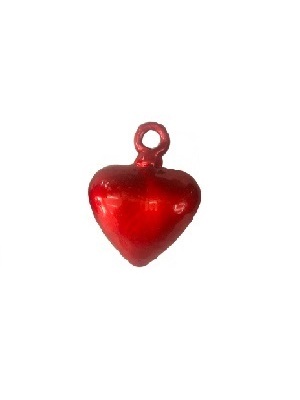 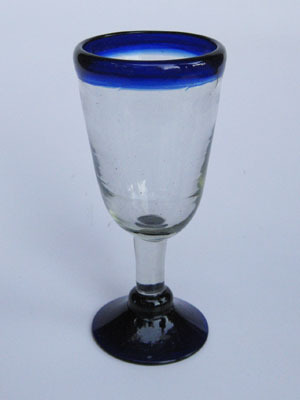 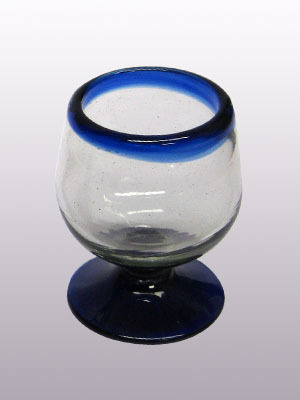 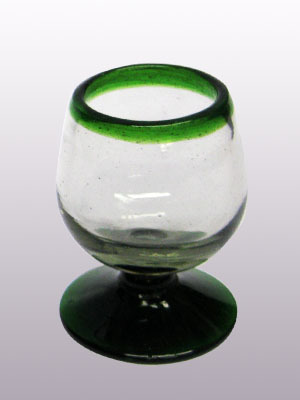 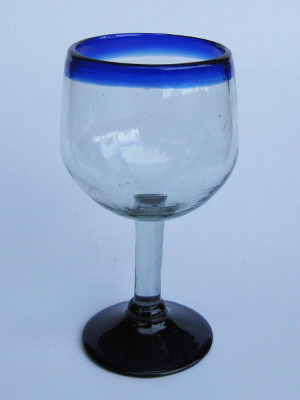 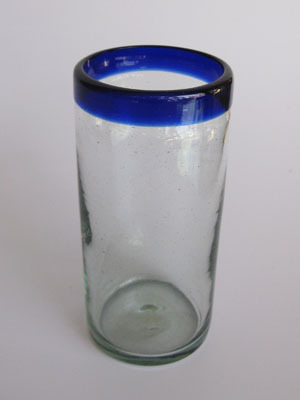 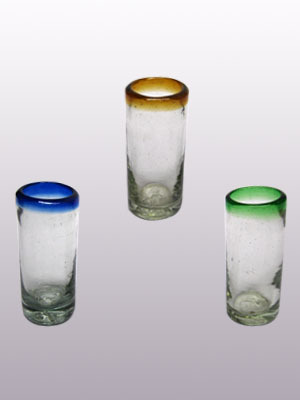 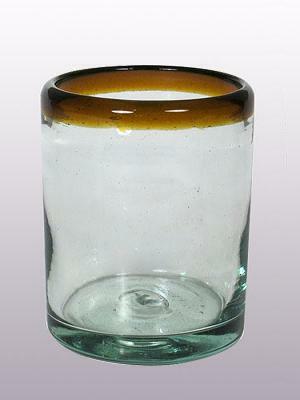 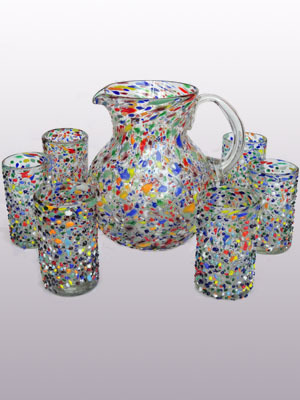 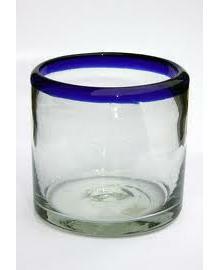 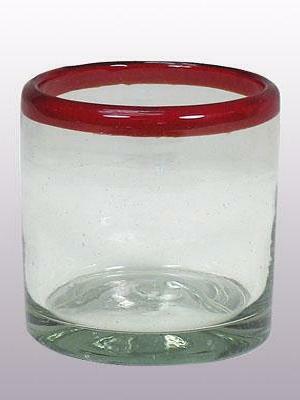 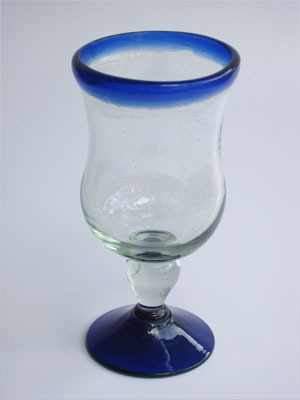 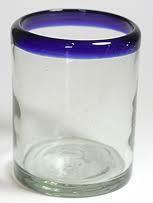 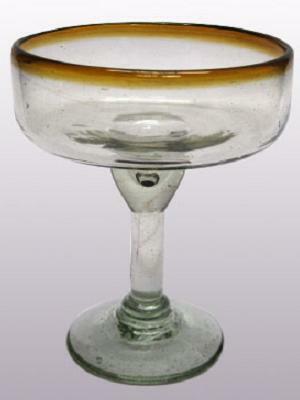 Blue Rim Mexican blown glassware is the most durable variety of Mexican glassware. 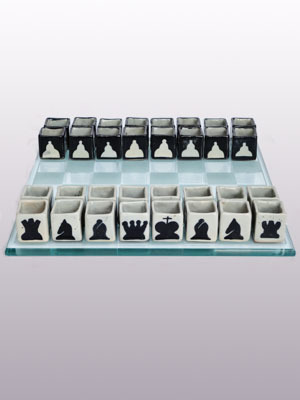 With normal usage, pieces can last up to 20 years. 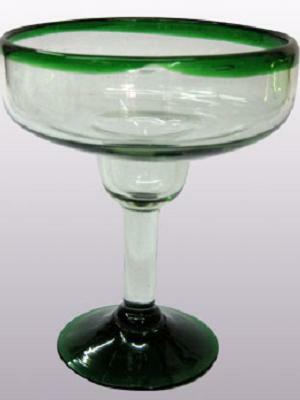 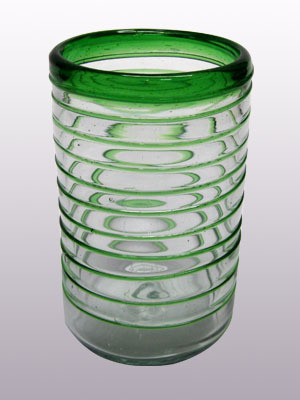 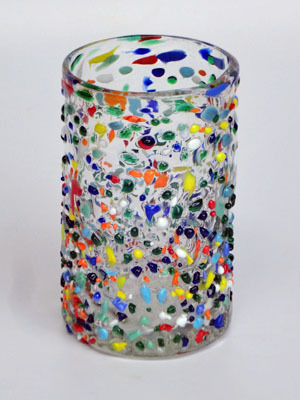 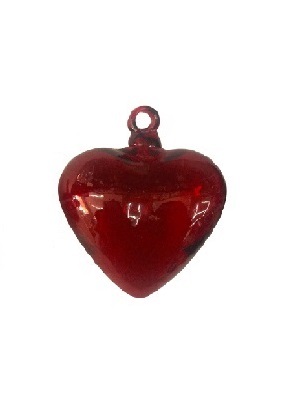 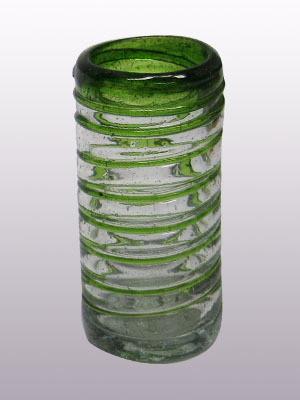 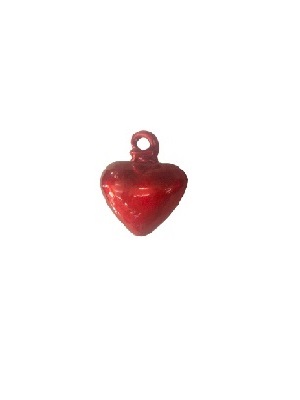 Mexican glassware does not bounce, so please refrain from dropping them! 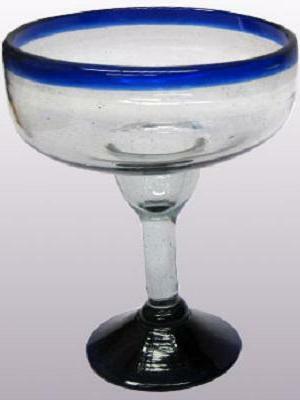 I have only replenished my shelf of Mexican glassware once in my 23 year marriage. 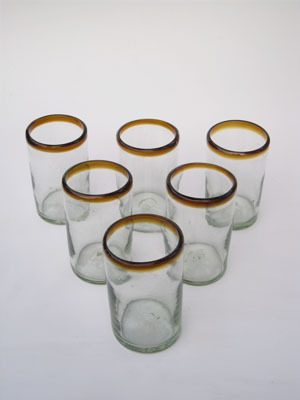 Once my children got older, we seemed to have less glassware breakage.